Binbirdirek Mahallesi Terzihane Sokak 9, 34400 Istanbul, Turkey. Business hotel in Istanbul centre. Lady Diana Hotel is a modern establishment located in the heart of one of the most interesting and dynamic world cities: Istanbul. This newly built hotel is perfect for your breaks, business trips and holidays. 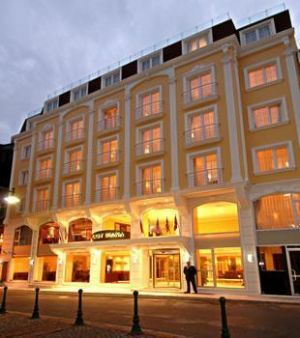 Located in the old town of Istanbul, Lady Diana offers 75 comfortable rooms, also including five exclusive suites. 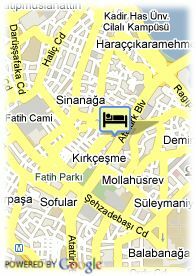 The rooms are equipped with modern equipment, with an excellent typically Turkish decoration. Lady Diana Hotel also has a hall to hold events, reunions, conventions and seminaries for up to 80 people. The hotel combines the tradition with modernity; after a full day in the city, nothing better than enjoying its Fitness centre with sauna or its healthy Turkish bath. Located just a step away from the main points of touristic and shopping interest of Istanbul, Lady Diana is placed at few metres from the city harbour and at 10 minutes by car from the exhibition centre.